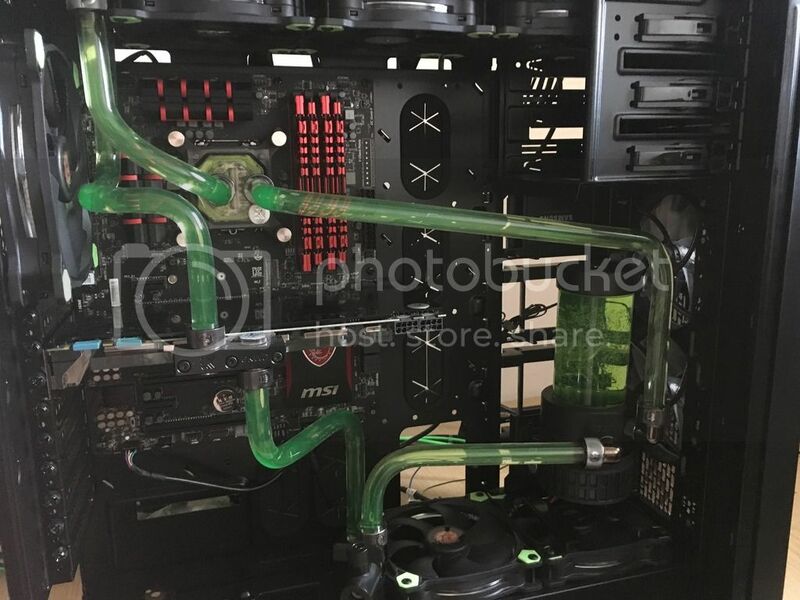 Last night I finished my first watercooling build its been running pump only for the last 24 hours and I have two concerns 1. The res is full of tiny bubbles and 2 I am concerned the water is not flowing. I can't hear the flow of water and there appears no movement from the water in the res. I've tried tilting the case etc there was some hair in the beginning but this appears to not be the case any more, I can hear the pump going and it does bubble when I have it upside down. The pump worked fine when I filled the system too. Any advice would be great. There's ALWAYS room for a quad rad! It's been a while since i've done a build, but i'm sure mine was quite quiet while running, except when it had trapped air at the beginning. SHould just hear a faint hum of the pump/fans. Bubbles in the res shouldnt be an issue. Call it turbulence. If you are really concerned, consider getting a flow indicator?